If you are looking for a relaxed approach to Language Arts that combines all of your necessary studies in one curriculum, I would recommend that you take a look at this curriculum. There is no daily prep time and this Language Arts program combines multiple subjects – every homeschool mom’s dream! There are 7 levels to choose from with a high school level promised to arrive in the summer of 2018! My daughter said that the Creative Companion which covers Writing, Geography and Art was her personal favorite. It includes lots of bright pictures, instructional crafts, and more that will pique your child’s interest. This set of 124 pre-cut cards are double-sided and are used for levels 4-8. With these you review your grammar and geography facts. All of these items are ONLY $44.99! I don’t know about you, but I have paid a lot more for other Language Arts curriculum. I thought the price was a steal! You can learn more about this course, look at samples, and purchase The Good and the Beautiful: Language Arts and Literature Level 4 HERE. I was so excited to be asked to give The Good & The Beautiful Language Arts and Literature Curriculum a try because I have heard raving reviews in the past concerning their Charlotte Mason approach to phonics and grammar. My eldest daughter loves to read and these lessons provide daily short, interesting, living literature to enrich the learning experience. There are only 2 additional books suggested for purchase to complete your lessons. As a parent, I LOVE this feature of having the majority of the books right in the course material. Spelling is a real struggling in our home. My daughter really loved the approach in these books which includes writing your spelling words in stair steps and in a ribbon format. It was a unique way that I had not seen before to make spelling a little less monotonous. What did we not like about it? I have been using a very formal and strict language arts curriculum for over a year. I purchased it specifically for my dyslexic child but ended up using it for everyone. I only bring it up because I found myself struggling over how “relaxed” the feel of The Good and the Beautiful Language Arts and Literature approach seems to be. On their website they claim that there is no gaps and no supplementation needed, and that this phonics based curriculum creates strong readers and writers. I just think because I am not accustomed to teaching short Grammar lessons that this would take me some time to get used to teaching. I would be remiss not to mention our difference in faith and practice with The Good and the Beautiful. Jenny Phillips claims on her website to be a part of the LDS church. Here at Talking Mom2Mom we are unashamedly Protestant Baptists and put great emphasis on the Bible being the only true Word of God. We believe that salvation is only found through faith in Jesus Christ and repentance. However, The Good and the Beautiful have taken great care they claim to keep LDS belief and practice out of their curriculum and resources. I did not see any references in this Language Arts resource that would contrast with my personal faith and practice. I really like this Language Arts and Literature Curriculum. I think that it takes a really unique approach and I love how it incorporates multiple subjects into one course. That makes my life easier. 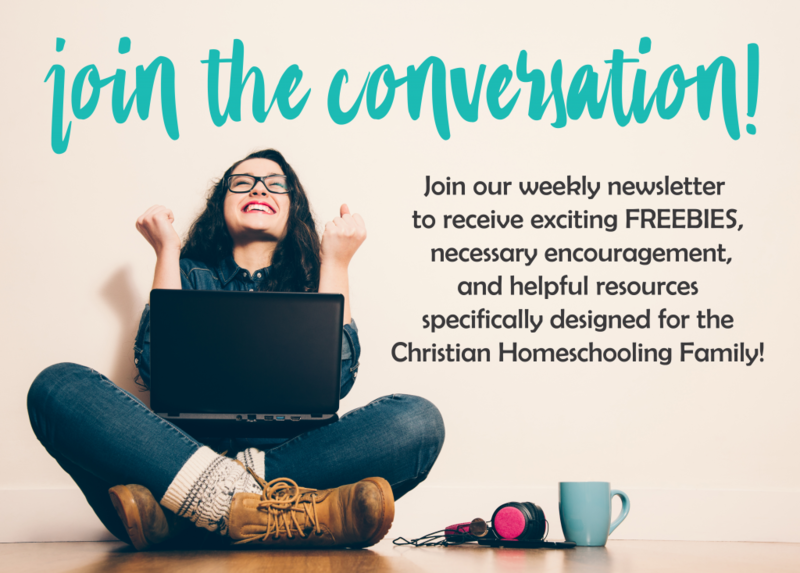 I also struggle to regularly incorporate all those good and beautiful things into our homeschool that we NEED but just don’t have time for – like art, nature study, crafts, and reading more living books. I love that The Good and the Beautiful has done this for us and I don’t even have to remember to buy a bunch of books. I think the price is right! At $44.99 – it is worth TRYING! If you have a child that really thrives on short but meaty lessons, I most definitely would suggest Jenny Phillips Charlotte Mason approach in The Good and the Beautiful: Language Arts and Literature Level 4. Check out all of the other Language Arts Levels, as well as, their many other products ranging from history to science, from notebooking to typing! You can read Richele’s review of The Good and The Beautiful’s History Curriculum HERE! Enter the GIVEAWAY – 4 WINNERS to be chosen! The Good and the Beautiful have been so kind to provide the readers of Talking Mom2Mom with an awesome GIVEAWAY! There will be 2 WINNERS. Each will receive their choice of The Good and the Beautiful Language Arts & Literature (Pre-k to 7th Grade). The value of this prize ranges from $38.97 – $72.00 depending on the level chosen. Two MORE winners will be chosen for the History Course (Year 1 or 2) of the winner’s choice. History Course prize valued at $83.00 value. Enter below for your chance to WIN! Giveaway begins March 2, 2018 and ends March 7, 2018. FREE Funny Writing Prompts for Christmas! Would so love to take part in the competition, but see it is only for US residents! Would even pay my own shipping costs to get it to SA if I won! Thank you for your review. We, too, are Baptists. I appreciate your comments regarding the differences of the faiths and am happy to read you did not find any LDS teachings in the language arts material. I am also Baptist. I did purchase the good and beautiful language arts level 3, handwriting set, typing set, and additional readers. It is not non denominational nor is it classical art and literature as advertised. I did not recognize any classic authors or artwork in what I purchased. All artwork was 1800s or later, so Mormon era. No Rembrandt, Van Gogh, daVinci, or any classic artists, no renaissance art. Also, I’m certain many literature selections are from Mormon literature, poems, hymns, etc. It initially seemed harmless but there were no recognizable authors. There was no Lewis Carroll, Robert Louis Stevenson, Longfellow, Beatrix Potter, or any other classic author you might expect. I was also told the later levels include quotes of Brigham Young and Joseph Smith right next to quotes by Martin Luther King, promoting these mormon heretics as great men and leaders. I did not use and sold my set on ebay and was so happy to have it out of the house. Reading their “wholesome” booklist and “books that did not make the list” booklist (free downloads), they reject several childrens books on George Washington and one on Thomas Jefferson. Why? Because it says the books are historically inaccurate and that is because because Mormons write their own history. I would be very skeptical of the actual history curriculum. Mormons have an agenda to proselytize and want to influence Christian children. They are not Christians. They do not believe in an eternal God who has always been. They believe in a god that worked his way up from man to god, and they believe they can do it too, so they can rule their own planets and populate with spirit babies from multiple wives (which is what they say their god does). Nonsense and heresy. They don’t believe in the same Bible, gospel, God or Jesus. They are not Christians. It is truly not a “non denominational” because they aren’t even in the same field. Presbyterian, Baptist, Methodist, Penecostal, Lutheran, etc, all differ on points of doctrine but generally agree on the main issues of the Bible being the word of God, God being the only God always and forever, Jesus being the sinless Saviour, God born in flesh, and the way of salvation. Mormons can’t produce something non denominational because they are so far from these standards. I’m not trying to be judgmental on those who are using it, but I would like to provide a warning for this curriculum that I feel intentionally misleads Christian families down the path toward a cult. Theology really does matter. Be careful with what you bring into your home and teach your children.